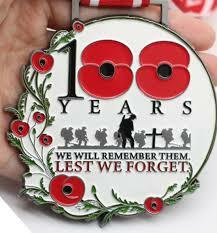 Last Sunday, New Zealand commemorated the signing of the Armistice 100 years ago which led to the end of World War 1. Many New Zealand homes and communities were touched by the deaths and causalities of this war and memories remain vivid today, of the impact the war had on families, communities and New Zealand as a nation. It’s important that we take time to reflect and remember not only the men, women and children affected by this terrible fighting but that we continue to pray for peace in our world commencing in our homes, our neighbourhoods, our schools, our communities, our cities, our countries and our greater world. We have the perfect example of a peace-maker in our brother/Tuakana – Jesus Christ. In our Mass, we pray “Lord Jesus Christ, you said to your Apostles … peace I leave you, my peace I give you. Do not look on our sins but on the faith of your Church and graciously grant her peace and unity in accordance with your will…” Let us all continue to pray as one community for peace in our lives. We are very proud to share news of our new staff members joining our school family in 2019. Alana Gaynor will be joining the Learning Community Awa team. Alana is currently working at Manurewa East School and is completing her first year of teaching and is a parishioner of St Anne’s Parish in Manurewa. We are thrilled to be welcoming Alana into our teaching team and know that she will have much energy, enthusiasm and new learning to share with us and our children! Susan Champion will be joining Learning Community Whenua and comes to us with a very experienced background in Early Childhood teaching. We are looking forward to the great contributions Susan will make to the teaching and learning programmes in Whenua especially as we seek to broaden our curriculum to provide a variety of learning opportunities for our new students to school. It is wonderful to have Susan on board with us! 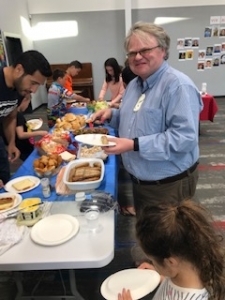 Quenten Brown is an experienced teacher in the senior area of schooling and joins us with a wealth of knowledge, skills and many experiences to share. Quenten will be working in Learning Community Moana. He has a passion for sports and loves to see students involved in the different activities. We are very excited to have Quenten join our teaching team and know that he has many gifts and talents to share with us too! 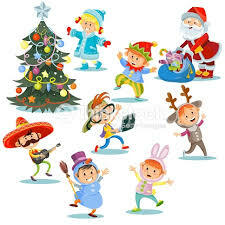 Children – come to St Mary’s Parish Christmas Carnival (Saturday Nov 24th, from 2pm onward) and dress-up in Christmas theme (maybe a Christmas cracker, present, shepherd, donkey or …). There will be prizes for the best costume, the most colourful and the sparkliest. Judged at 5pm by Fr Peter. St Mary’s Parish is holding a Christmas Carnival on Saturday 24th November from 2:00pm – 7:00pm at St Mary’s Church. Our school has been asked to support the Parish in this fundraising event by running a stall on the day. 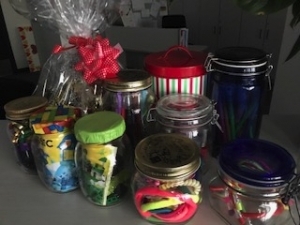 Our PTFA is holding a “JOLLY JARS” stall and hopes that every family can contribute by sending along a jar to school that is filled with something exciting that others may wish to buy! Great ideas are things like crayons, pencils, felts, marbles, stickers, lego, hair ties and clips, lollies, marshmallows, christmas tags, ribbons etc. YOU will have your own great ideas too! Please help us to help our Parish by providing a JOLLY JAR for sale at the Parish Christmas Carnival. Please bring all jars to school by Monday 19th November. We already have some sitting on the counter in Reception. We have 40 JOLLY JARS BUT NEED 60 more …. CAN WE REACH 100 JOLLY JARS from our SCHOOL? SOS – calling for families to help sell our Jolly Jars at the St Mary’s Christmas Carnival on Saturday 24th November. If you have an hour to spare to help us it would be much appreciated. Please email the school office – office@holytrinity.school.nz with times you are available and contact details so that we can add you to our roster for the day. Thank you to our Board of Trustees and school community for the support shown to our teachers and Principal as we renegotiate our Collective Employment Agreement with the Government. As more and more demands are placed on teachers, with not enough resources, our staff continue to give of their very best. Through our Union, the N.Z.E.I., we are endeavouring, as educators at the “coal face”, to get some positive changes with regard to the staffing shortage, staff workload, salaries which reflect this workload, support for children with special learning and behavioural needs, and making teaching as a career, a more valued profession. This will result in continued positive outcomes for our children. 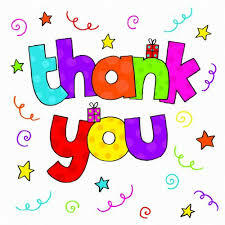 Thank you for your continued understanding and support as together we work for the benefit of our children. It was great seeing our Māori whānau on Tuesday night! 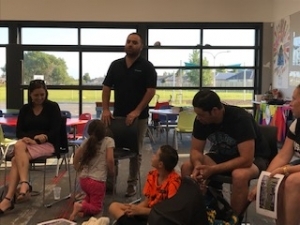 We were low in numbers from the wonderful turnout last term but the depth of sharing during our time of whanaungatanga helped us to make some valuable connections. It was an awesome start to strengthening our relationships as we continue to move forward together. 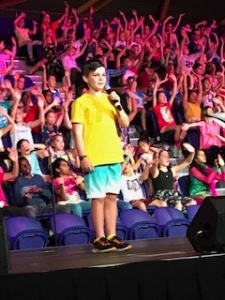 The students in our Year 4-8 Kids for Kids Choir represented Holy Trinity at the Vodafone Events Centre on Wednesday night. Wearing their brightest colours, they sang and danced their way through a range of New Zealand music. A big thank you to Mrs Rhode for all the practices and organisation and Miss Lindstrom for coordinating the practice on the day and at the event. These events are a great way for teachers and students to show our school Gospel Values of Unity and Excellence – giving their best while working together. The event saw students celebrating this ‘Kiwi As’ spirit, seeing young people come together to celebrate some of the best of Kiwi music and participate in a mass choir performance. Across 12 shows around the nation, nearly 10,000 young New Zealanders have a chance to take to the stage and use their voice for good. 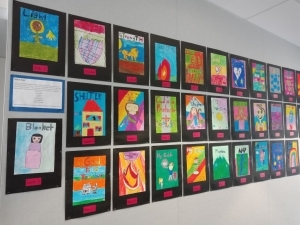 The PTFA has organised a calendar art fundraiser for the end of the year. 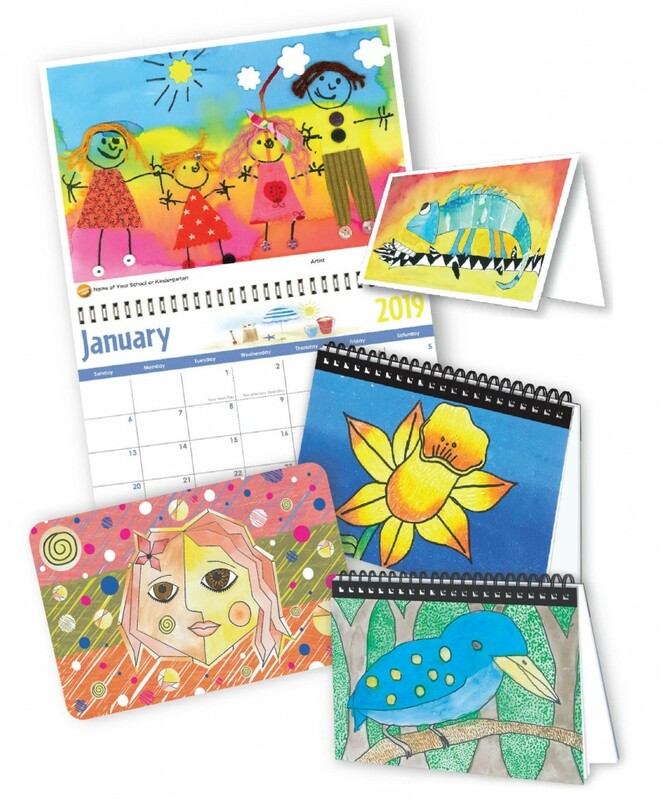 Every student has completed a piece of art which can be purchased by parents online in the form of a calendar, diary, note pad or mouse pad. These make great christmas presents for friends and family. Students will be bringing home a unique order form with ordering instructions, unique code and price list. Please look out for the notice in bags. All orders need to be made online by 11:30pm, November 23rd. All purchases are made through the website, no payments go through the office. If you need help or have any questions, please email or come in and speak to the school office. 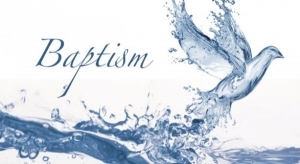 Just a reminder that we have one more Baptism session with Father Peter Murphy of St Mary’s Parish, Papakura and Father Brian Prendeville of St Anne’s Parish, Manurewa on Wednesday 21 November in the staffroom at 6pm. Our whole school will be attending the Baptism of these wonderful children on Tuesday 27 November at 11:30am at St Mary’s Parish Church in Papakura. This will be a great day to celebrate the beginning of the faith journey of these children. Our school will be travelling by bus to witness and be a part of this wonderful occasion. We hope to see you there! 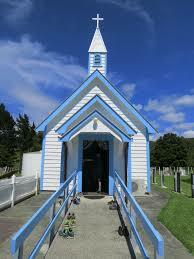 St Mary’s Parish, Papakura are travelling to Motuti in the Hokianga from Friday 8th February to Sunday 10th February 2019. The cost is $80 per adult with children from Year 0-17 years of age free although they must be accompanied by an adult. Payments are to be received no later than 30th November 2018. Further information is available at the school office. Come and join with us on our Spiritual journey as we travel to Hokianga in the far north! On Wednesday 21st November, our school will host new families joining us in 2019. 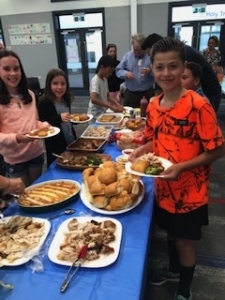 During this time, families and children will be welcomed by our school, have an opportunity to spend time in Learning Communities and have time with the Senior Leadership Team/Manutaki who will share school information in preparation for the 2019 school year. We are looking forward to sharing our term’s learning with our families including individual students’ achievement levels in reading, writing and maths. Teachers/Kaitiaki and students are currently working with assessments and recording evidence of their progress and achievement to share with families through the LINC-ED online parent portal. Reporting information will be published for families to access online from Monday 3rd December. If you are unsure of how to access the LINC-ED parent portal, please call in to the school office for support with accessing the link and setting up of a password. 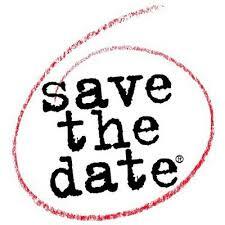 Mahi Tahi Working Together Conferences will be held Tuesday 4th December from 1:30pm. This is an opportunity for Teachers/Kaitiaki and your child/ren to share and celebrate their learning progress and achievement from throughout this school year. We would like students to be present too so they can also share in and contribute to this learning conversation about their learning goals, learning successes and challenges. Conference times will be for 15 minutes. We will inform you of the “booking conference time” procedures in the near future. 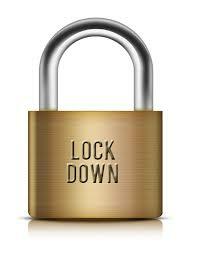 During the next few weeks, school will be practicing Emergency Drills for Fire and Lockdown. It’s important that the children and staff know what to do if these events were to ever eventuate. We practise for these events and then review to check our effectiveness in responding to the emergency and in how well we followed procedures. It’s also good to chat at home about how best to respond to emergencies and what are the key points to remember to do to keep safe! The end of the year is fast approaching! Please note these important schools dates so that you don’t miss out on any of the activities and events leading up to the end of term. We will advise immediately if there are any changes. Come and have a look at our God Strand artwork that is displayed in the foyer entrance! This is a way of expressing and sharing different symbols and images of who God is for us. God is our friend, our shield, our Shepherd, a loving parent … so when you come to the office next time, stop and have a look at our symbols and images of God. 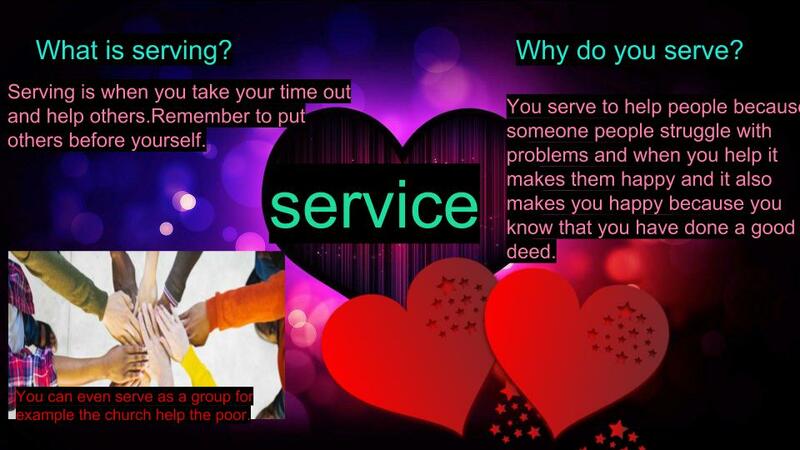 Learning Community Maunga’s homework this term has been to learn about and provide service to others. We have had students cooking dinner, reading to younger siblings and helping with the cleaning up at home. Attached are two examples of homework learning. These are an informative poster and a poem describing service. 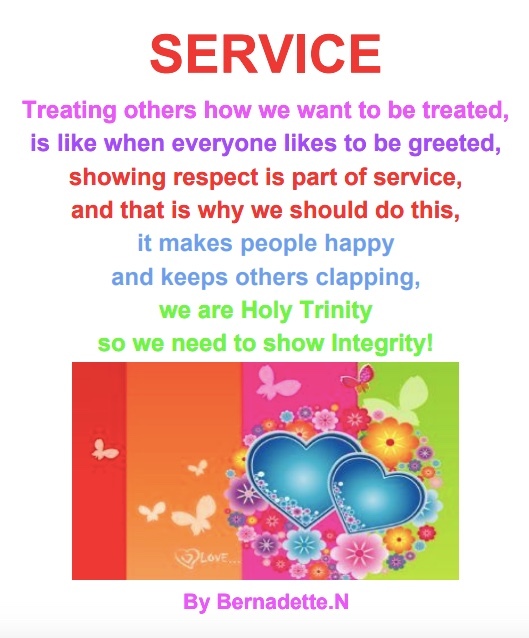 Our Service concept has been great learning for all involved – I hope you have seen our Holy Trinity children at home and out in the community showing service. If you have any examples please email them through to the school so we can share with our community. 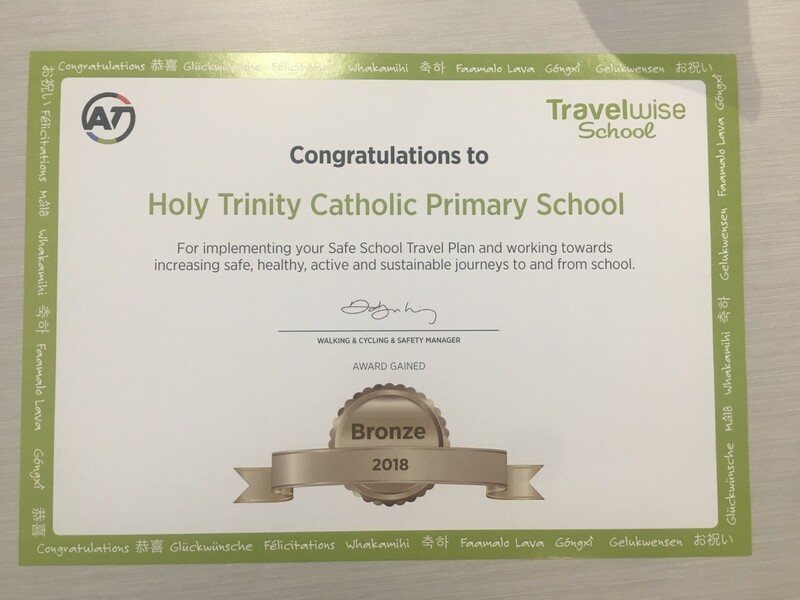 Congratulations to the Travelwise Leaders as our school has been awarded a bronze award for our efforts to promote safe parking and getting to school. We achieved a lot this year but know we have a lot more to do and are looking forward to making our school a safer place next year. Next year we would like to run more Wheels Days, safer parking events and encourage the use of bikes and scooters to get to school. 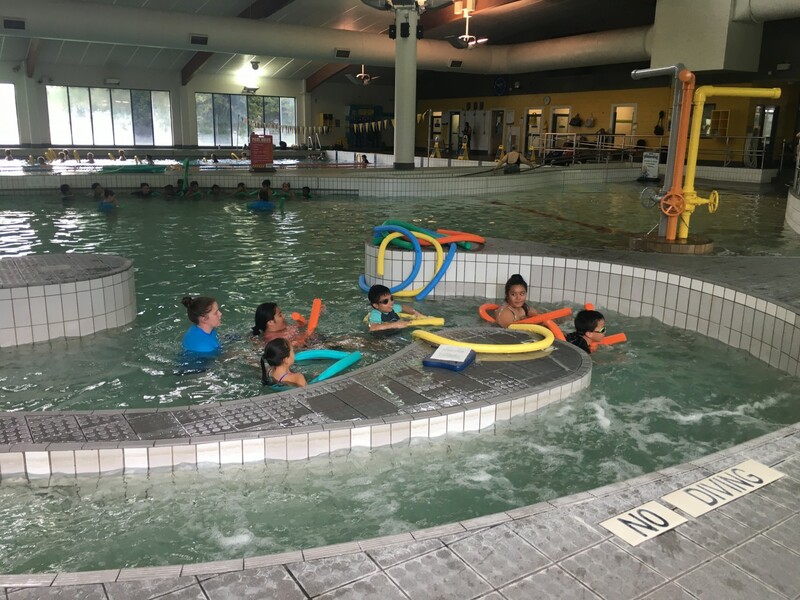 Swimming at Massey Park Pools has been great so far, with students learning a range of swimming and water safety skills. It has been awesome to see the students in the pool having so much fun and learning at the same time. If you haven’t yet paid the $15, there is still time. Thank you for making sure students were organised and ready to go swimming each day this week! Don’t forget there is one more day of swimming this Monday (19th Nov)!! 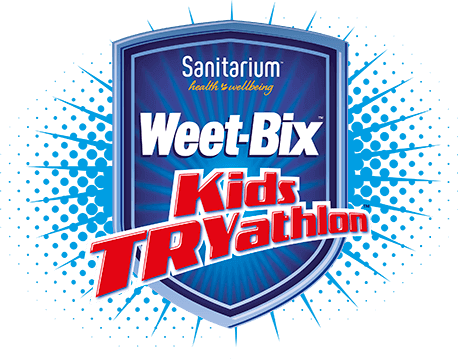 There is still time to sign up for the Holy Trinity team participating in the Kiwikids tryathlon. I received an email that the spaces for the South Auckland event are almost full! We have a small team ready to compete – I hope they are training hard for their swim, bike and run. If you still want to participate head to this website. All registrations and payments are made through the tryathlon website. 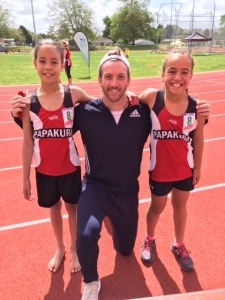 We had ten students represent Holy Trinity at our local Papakura Schools Athletics event. The weather was perfect, the event was well organised and all the students had a fun, yet tiring day. Our students represented their school with pride and respect, showing great skill, resilience and sportsmanship. We are still waiting for the final placings list to be sent out from the organisers, but had a number of Holy Trinity students place well in events. Thank you to Mr Seluone who came along to support on the day with parent help! 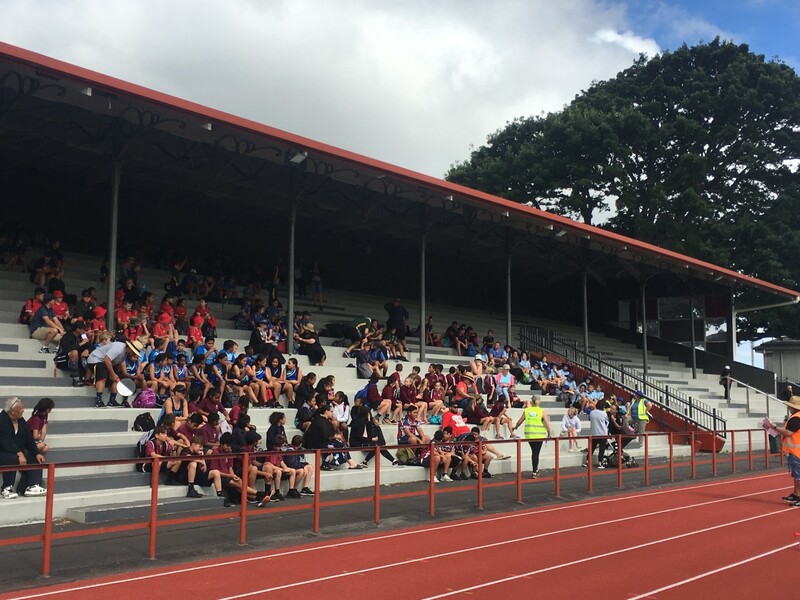 We are looking to hold our School Athletics event on Wednesday 28th November over at Bruce Pulman Park. Stay posted for more information about timings! If you are available to help on the day running a station activity, please let the school know. Thank you in advance for your support. Great to see Eva, from Learning Community Moana doing so well in her athletics competitions. Here’s a photo of Eva with Joseph Millar who is currently New Zealand’s fastest man! 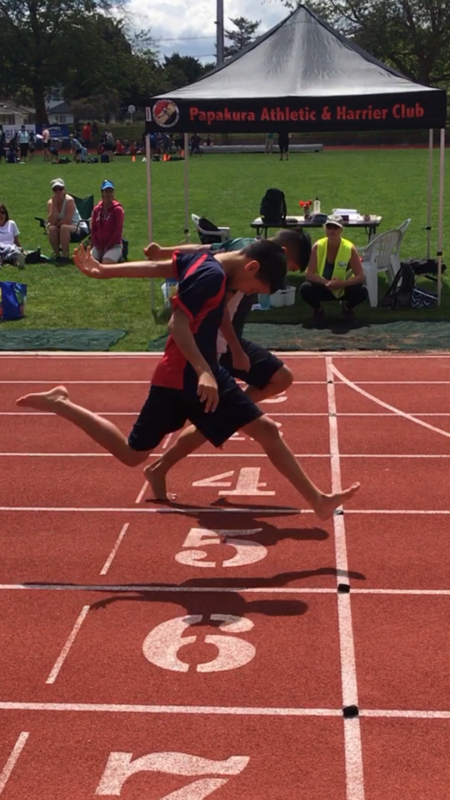 This was taken at the Ron Keats Papakura Athletics Day. We hope you are inspired by your athletics hero, Eva! A service of Carols and Readings for the Season of Advent at the Cathedral of St Patrick & St Joseph. Saturday, 1 December at 7.30 pm. All are welcome to share this tradition as we journey towards Christmastide and prepare the way of the Lord. Entry FREE but there will be a retiring collection. Validated parking is available at the Wilsons’ car parks on Hobson Street ($4) and Durham Lane ($2 entry from Queen St only). Saturday, 8 December at 8.30 am and a Choral Mass at 7.30 pm with the Cathedral Vocal Ensemble directed by James Tibbles.